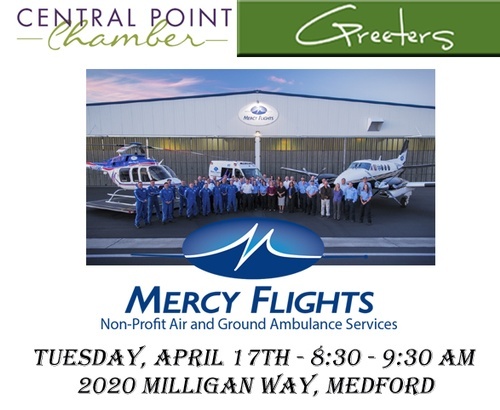 Come and check out at Mercy Flights!! Please join us and other local business leaders that are genuinely invested in our community. Are you a Central Point based business or non-profit? Do you do business in Central Point? Would you like to do more business in Central Point? Come and visit with us, mix, mingle and meet fellow community minded people! Bring a friend and a gift for the raffle!